Carved PVC Signs with More Choices! - More Colors, More Shapes, More designs, More Accessories. In most instances it is most desirable that the sing be perfectly symmetrical so that it will look the same from either side. This is not always an easy task when creating complex shapes from scratch. One simple method is to place your shape in the middle of the work space and duplicate it right over itself. Then flip the shape horizontally. Any inconsistencies will be evident. Make the appropriate adjustments and then select both shapes and weld them together. With over 75 Standard Sign Shapes to date PVC Signs has more Standard Sign Shapes than anyone, and we are adding new shapes every day. Over 50 Standard colors to choose from. This color pallet was chosen from the most popular colors used to paint carved signs. These color swatches will vary in appearance depending on your web browser and monitor. Design Layouts - NEW IN 2009! Soon Visitors will be able to browse through our Design Gallery for ideas and layouts. Members and Dealers can download the designs and modify them to meet their needs. Just login to your account and go to Designs and Layouts. If you have not registered yet click on the appropriate Link to set up your account. Submit your custom sign shapes for inclusion in our Shapes gallery. Published Sign Shapes will earn the Designer 1 Credit for every their design is download by another designer. Credit s are redeemable for discounts on Future Sign orders or for Special Promotions and Gifts to be announced. 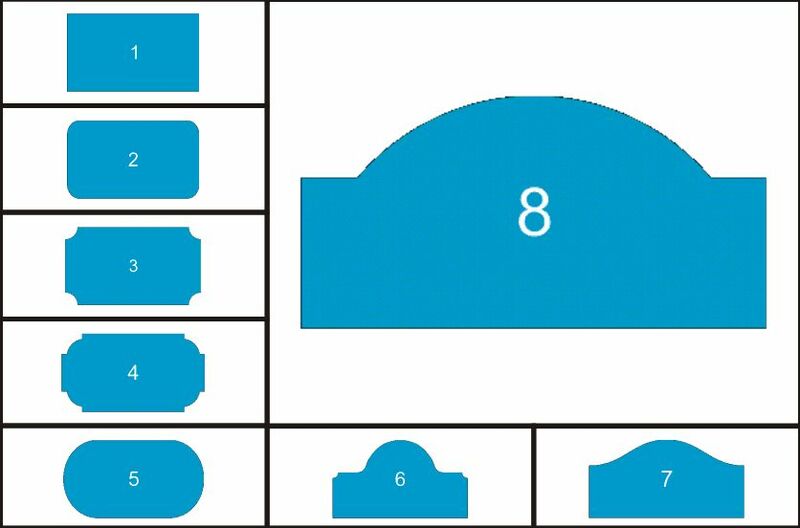 Submit Your Custom Sign Shape for Evaluation.